Consolidate IT alert notifications onto one platform. Access time stamped alerts with relevant information. Manage incident responders and stakeholders through secure messaging, live ticket updates and postmortem reporting. Rock-solid reliability. Connect healthcare personnel through HIPAA compliant messaging and alerts. Pager Replacement. Manage on-call shifts and automate escalations. Real-Time Call Routing connects patients to caregivers to ensure immediate response. Add crisis communication to your DR plan. Managed Service Providers – Dramatically improve response times to critical alerts and better manage customer’s SLAs. MSPs who’ve switched to OnPage experience 25% growth and provide consistent service to their customers. 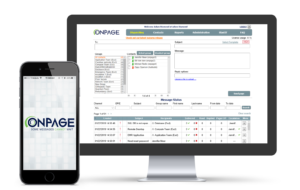 OnPage is an industry-leading, secure incident management system with patented ALERT-UNTIL-READ technology. HIPAA-secure, built around the incident resolution lifecycle, the platform enables organizations to automate the incident notification process from inception till resolution to reduce human errors and improve MTTR, while allowing secure team collaboration. OnPage’s escalation policy, redundancies, and scheduling algorithms ensure that a critical message is never missed. OnPage’s reporting and audit trails ensure that managers and stakeholders are always aware of incident status and responsiveness. Get the most out of digital investments, ensuring that IOT sensors and ticketing and monitoring systems have a reliable means to escalate anomalies to the right person immediately. 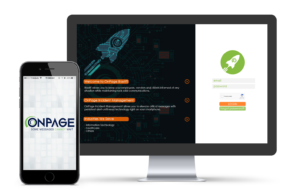 BlastIT, OnPage’s latest release for mass notification, enables organizations to quickly and easily inform employees, vendors and customers before, during and following any type of potential threats or crisis events. We live in a digital age in which instant communication is key to every business and is vital in case of a crisis. Because information flows freely among employees, customers, vendors and other stakeholders, it is imperative for organizations to have a well-thought-out, reliable communication plan for quickly reaching all those affected in an emergency. By leveraging modular templates that are easily accessed in a crisis situation and an automated method of acknowledging mass notification messages, response teams can communicate quickly and precisely. Incident management systems automatically send notifications, assign tasks and escalations to appropriate individuals depending on the incident type, priority, time, status and custom criteria. Administrators can configure incident report forms as needed, create reports and set access controls on incident data. Some systems have the ability to share and collect images, video, audio and other information for better collaboration, audit trails and reporting. NEW – Add critical alerting to ServiceNow. Reduce downtime and improve IT performance. 90% of hospitals have made or are making investments in mobile platforms, replacing pager systems. Ready to make the switch? 60% of organizations don’t have a disaster recovery plan. Here’s a guide to enhance your critical communications. To stay competitive, add 24×7 support to your service offering. Here’s how! Learn more about our award-winning solution! Contact us at (781) 916-0040.